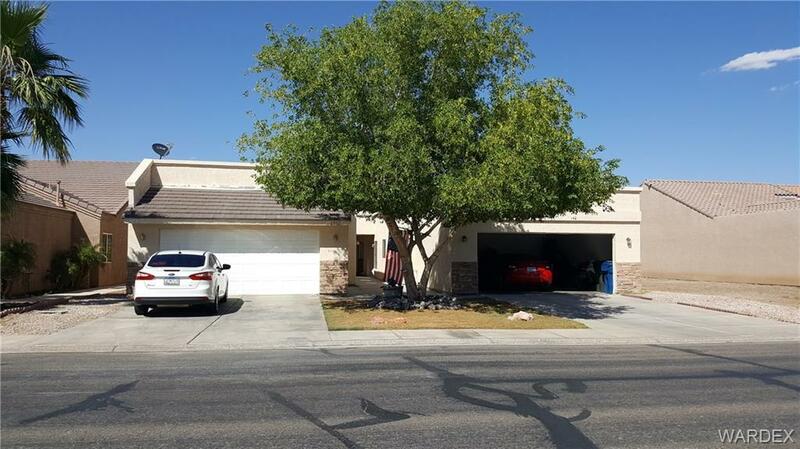 A little slice of paradise, this 3 bed 2 bath townhome in highly desirable Palo Verde Meadows is your perfect place. It is freshly painted, has new laminate flooring, new carpet and updated lighting fixtures. It is light and airy with good sized bedrooms that all have lots of closet space. The kitchen has new granite countertops and sink with sprayer faucet. The adjacent laundry room also serves as a utility room and pantry. The living room is wired for surround sound with speakers built in to the ceiling and there is a lovely fireplace with aged brick hearth and beautiful 3 sided mantle. The bathrooms also have granite countertops and stylish vessel sinks with elevated faucets. The master bedroom has a walk-in closet and sliding glass door leading to a private patio with a view of the greenbelt. The attached 2 car extra deep garage provides space for parking as well as storage. Enjoy all of the amenities and conveniences of planned community living with reasonable HOAs.